According to a short blog post from Rovio, they have “big news” coming next Monday, July 15. 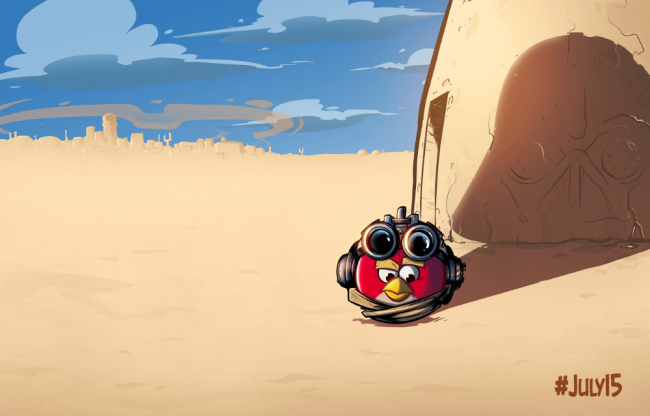 Apparently, the news centers around a brand new game that the publisher is working on, one which has to do with the Angry Birds Star Wars franchise. Attention, Angry Birds fans! Stay tuned on Monday, July 15th, for big news about a brand new game! We’re talking the biggest character line-up ever, awesome new powers, and maybe even a few surprises! If you ask me, we could be looking at Rovio starting from Episode 1: Phantom Menace now, as the above bird looks to be dressed as Anakin Skywalker, with his shadow appearing as Darth Vader. You think Rovio will somehow make the Jar Jar Binks character even more hated than he already is? We shall see on Monday!